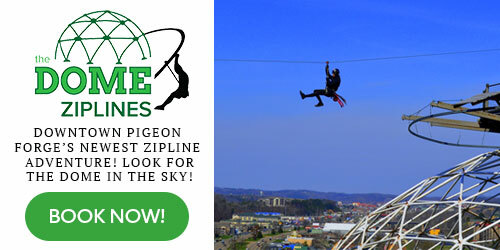 Zip off the 65ft Dome on our 11 Zipline Canopy Tour - just $39. Pigeon Forge's newest attraction at light #10. Best price in Sevier County!